Using Herbs for therapeutic purposes may seem strange to those who are steeped in the western medical approach with all the modern diagnostic equipment and plethora of pharmaceutical drugs for seemingly every possible complaint. However, it should be considered that from time immemorial, plants have been used for the therapeutic effects they have on the body. 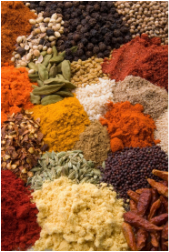 Many of these herbs became commonly used as spices and were incorporated into the diet, supplementing the nutritive value of the food being eaten. Not only did they provide flavor, but had beneficial uses. Parsley for example, aids in digestion, decreases gas formation and eliminates intestinal worms-- but when served in a restaurant, most discard this useful herb as a "decorative garnish", and do not benefit from the gift it provides. They later reach in their pocket for an antacid made from chalk. Herbs may be thought of as "super foods", as they tend to be more concentrated in their active constituents than other foods consumed, and therefore requires less volume of material to get the nutritional benefit that is needed for a healthy body. Go into a museum, an old pharmacy or pharmacy college that displays the old apothecary jars. You will notice the labels have the Latin names of plants used as medicine-- some may have specimens still inside! This was the norm even here in the west, until the early to mid 20th century. Herbalism is centuries old, and is still the major basis of medicine for most of the world. Indeed, even today, many of the medicines commonly prescribed have their ancestry in herbal medicine. With the discovery of penicillin around 1930 and the advances in organic chemistry, the production of medicinals changed from plant based preparations to that of chemically manipulating organic compounds to mimic the molecular structures of the agents that were felt to be active. One cannot patent a plant or other substance as it appears in nature, but you can patent a synthetic version created in the laboratory. This fueled the modern pharmacological industry to become what it is today. The problem with this approach is the nature of the chemistry itself. Modern chemistry is very reductionist-- that is, it breaks everything down to it's individual components and reassembles them, or takes the various parts and combines them in a different way. By subjecting compounds to harsh chemicals that strip away electrons, the chemical bonds are broken, molecules separated, more chemicals introduced, and the molecules reassembled. In this manner new compounds can be synthesized from other substances. The individual atoms that makeup all compounds have their own unique electrical field due to the number of electrons in their outer shell-- and these interact with the adjacent atoms (much like tiny magnets). This interaction determines the shape of that molecule and how it interacts with other molecules. When compounds are synthesized, the atoms coming together to form the molecules are influenced by these electrical forces, and the resulting compounds will be shaped differently-- they will have a "handedness" or chirality (chiral meaning "hand"). That means the shape of some of the compounds have a right hand rotation and others will have a left handed rotation. So, WHY is this important? Much of the function of biologically active molecules depends on how they "fit" with other molecules and receptors like a lock and key. Simply put-- the right hand will not fit in the left glove, and the left hand will not fit in the right glove. A precise fit of biologically active compounds are critical to the proper biological functions of the body. Two different chiral molecules of the same compound can have drastically different effects on the body. Additionally, the process of chemically dismantling and reassembling the various molecules destroys aspects that only nature can provide in context of the natural plant. An example would be salicin (the active component of white willow bark) which is used as a mild analgesic with no side effects. However, the synthetic version which is salicylic acid (aspirin) contributes to stomach ulcer formation. Humans have been consuming Herbs in one form or another since the beginning of mankind. Consuming synthetic chemical compounds is a relatively new phenomena, and we are not adapting very well. Just close your eyes at the next drug advertisement on the television and listen to the side effects. What are the advantages of Herbal medicines over synthetic drugs? As a general rule, herbal preparations are less toxic than their synthetic counterparts and have fewer potential side effects. Additionally, the application of Herbal therapeutics is aimed at correcting the underlying cause of ill health. In contrast, synthetic drugs are often designed to alleviate the symptom or effect of an illness without addressing the underlying cause. It has also been demonstrated that with many plants, the whole plant or extract is much more effective than the isolated constituents. This is due to the synergistic effects the various constituents have with each other. For example, many plants used therapeutically have an effect on the homeostatic control mechanisms to aid normalization in many of the body's processes: when there is a hyper (excess) state, the Herb has a sedating effect; when there is a hypo (deficiency) state, the same herb will have a tonifying effect. This is baffling to orthodox pharmacology, but not to experienced herbalists who refer to these effects as alterative, adaptagenic, amphiteric, or tonic. One of the great fallacies promoted by some of the mainstream organizations is that there is no firm scientific evidence supporting the use of many natural therapies, including Herbal therapies. This assertion is simply not true. The fact is that over the last 35 years a tremendous amount of information concerning plants, crude plant extracts, and nutritional substances as medicinal agents has been produced. While western herbology is quite effective, it tends to take a symptomatic approach that isolates the patient from the problem and herbs are given for the problem. For example, if you have a headache, white willow bark is used. Sometimes other herbs are combined, but the approach is the same; if you have a headache, take white willow bark. While this frequently works, not every headache will be relieved by the same herb. Other cultures use an energetic approach and consider the patient in context with the problem. Chinese, East Indian Ayurvedic, Tibetan, and Native American medicines are all founded on an energetic basis, though each system differs. 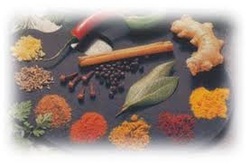 The herbs are classified by their energetic effects such as hot or cold, taste, properties, color, growing conditions, etc. The appropriate herbs are selected to match the patient, the disease, and the cause. Thus, rather than focusing on the headache, we look at the patient to see what is going on in their body and environment to cause the headache. The cause is treated and the headache goes away. Some causes of a headache may be: liver congestion, stomach upset, tension, weakness in the body, or misalignment of the cervical vertebra. Which cause it is varies according to each person's body and whatever health imbalances they may have. Dandelion and feverfew help headaches due to liver congestion; catnip can relieve headaches due to stomach upset; valerian eases tension headaches; cinnamon can help with headaches due to a weakness in the body; a Chiropractic adjustment can relieve headaches resulting from a cervical misalignment. Acupuncture can enhance the effect of treatment for any of these causes.